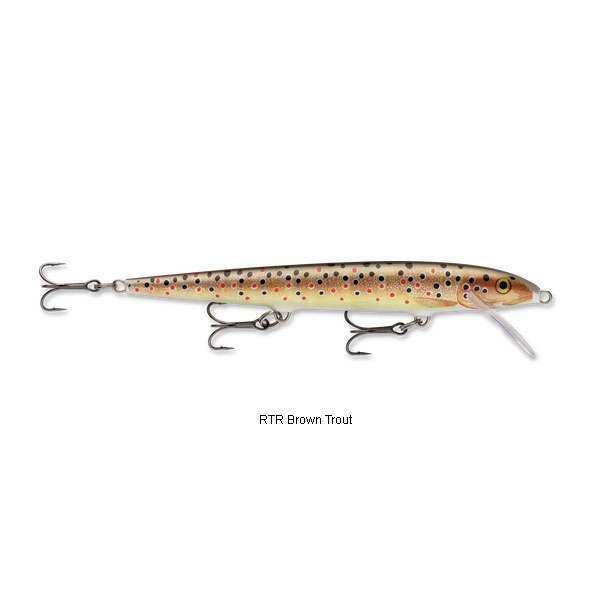 Originally designed in 1936 by Lauri Rapala, the Original Floating Rapala is still Rapala's number one seller. 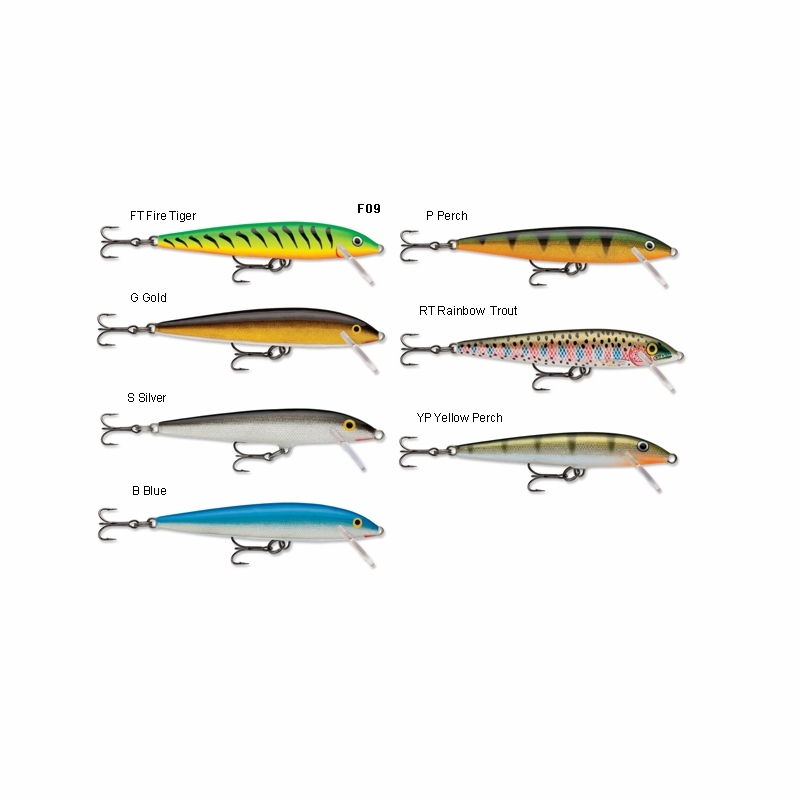 The integrity of the design makes it the most versatile of fishing lures. Whether twitched on the top as a surface bait, retrieved as a shallow runner, weighted with a split-shot for medium depths or bottom walked off a sinker rig, the wounded minnow action continues to be irresistible to game fish. After nearly 40 years, Lauri's secret has not been duplicated. Very productive in clear water. 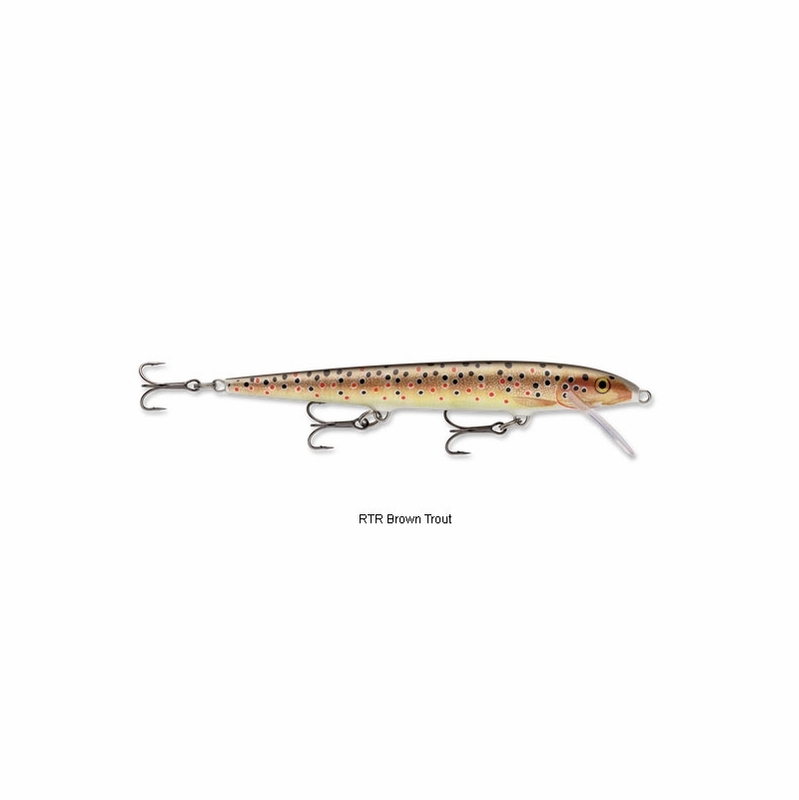 Truly, an all time great minnow lure. ConsCould be fitted with larger hooks. All time go to bait. I have used these for many years. Great fish getter. One of the first crankbaits i ever bought and has allways had a spot in my tacklebox since then. Sharp hooks could be stronger . Has a very seductive way of moving fish cant get enough of it. It's a most have, like firetiger and rainbowtrout when it comes to colors. One of the first crankbaits i ever bought and has allways had a spot in my tacklebox since then. Strong and sharp hooks and a seductive way of moving fish cant get enough of it. 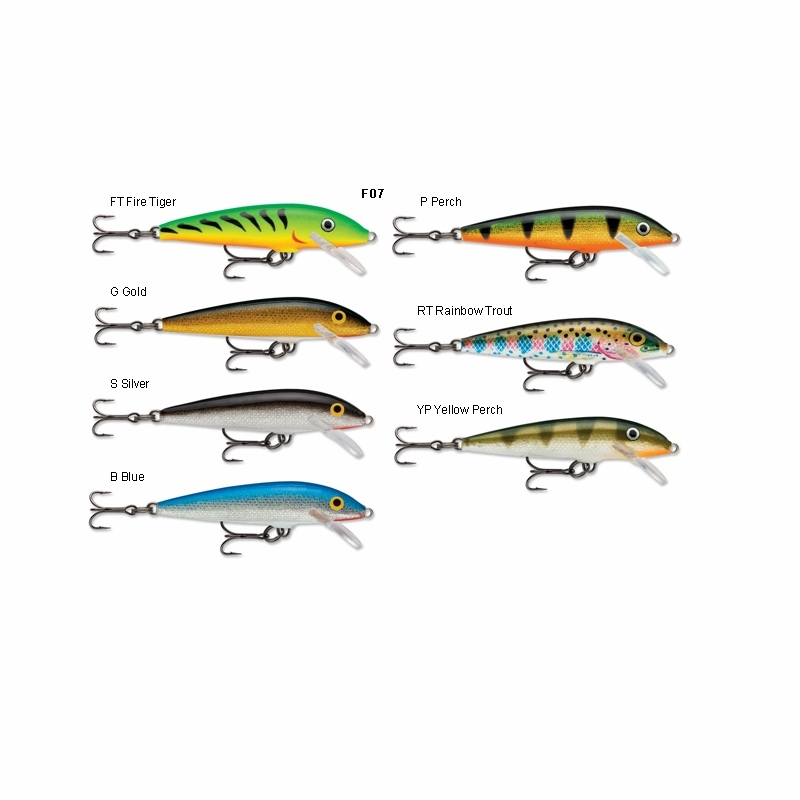 The Rapala floater has been one of my favorites for years. It has the best action on a minnow plug I have ever seen and it catches fish after fish! Best striper lure from Pier! Great striper and blue lure from pier. I changed the hooks to VMC 9626 and the lure couldn't be better. 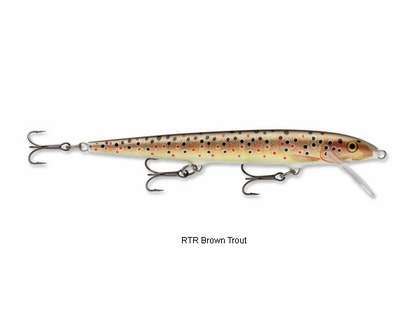 One of my all time favourite Trout Trolling lures, I absolutely love the rainbow trout, brown trout, brook trout, gold and perch patterns and so do the Trout! I like to run 4 rods when Trolling for Trout. 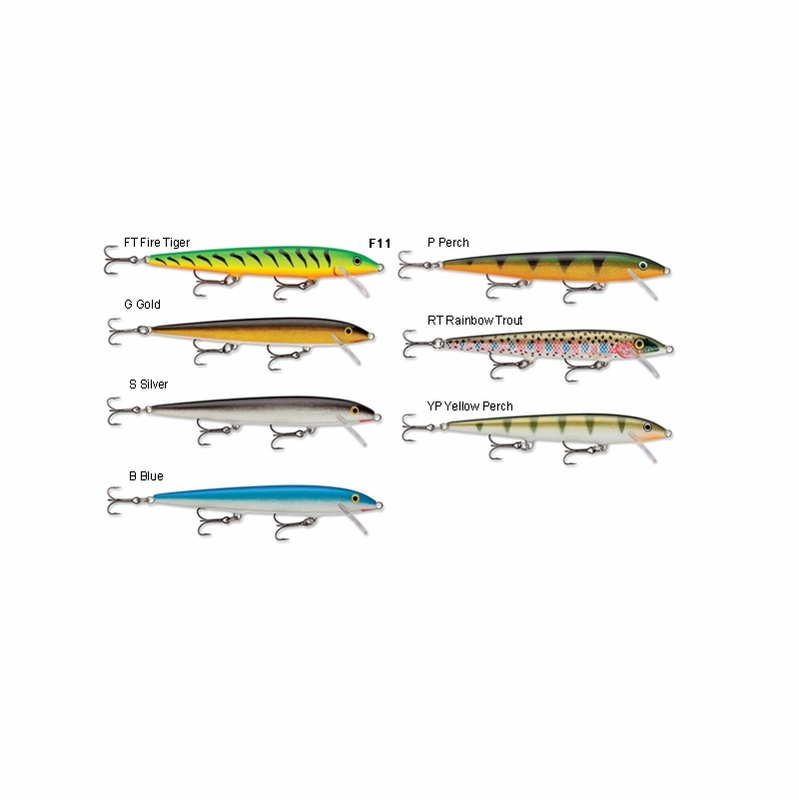 My Rear left side is my usual spot for running a Rapala Original Floater as it Floats at rest and the x-rap on the left side of it sinks so they tend not to get tangled often. Optimum trolling speed for me is about 1.5 knots. Rapala Original Floating 9S 9cm silver/black back. 2 treble hooks 3/16 oz. Don't seem to see it on your page?